Close to one in seven Americans smoke marijuana regularly and make it part of their daily evening ritual. While medical marijuana has medicinal benefits for those with unique disabilities and illnesses, when the controlled substance is abused, it can become a problem. If your marijuana use is affecting your everyday life, you may be developing an addiction or dependency on the substance. If you cannot seem to get through the day without getting high, treatment is needed in order for you to overcome your dependency on marijuana. Quitting weed is not always easy which is why seeking treatment is the most effective way to recover. If you display any of these signs, you may be struggling with marijuana abuse. Marijuana addiction is a treatable and manageable illness but it requires the help of professional treatment programs in order to successfully recover from. The first step in overcoming marijuana abuse is recognizing that you have an issue. As soon as you realize that you have an addiction problem, you are already in the mentality of recovery which means you are going to work hard to obtain sobriety. Imagining a life that is free from marijuana abuse can be hard, especially for those who use marijuana on a daily basis. 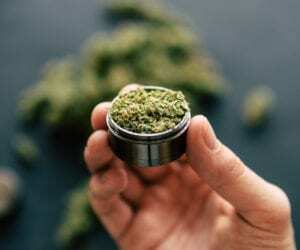 While the withdrawal symptoms are not as severe as other drugs, there are some uncomfortable symptoms that can occur once you stop smoking weed. The best way to stop smoking weed is by seeking help from support groups such as Narcotics Anonymous. These programs can help you understand how to live a life that is free of marijuana. By taking up recreational activities and keeping yourself occupied and busy, you will not get bored and resort to substance abuse. Your life can be drastically improved once you have reached sobriety. You will have a clearer mind and be able to make rash and logical decisions, whereas before, you were under the influence of drugs. Your quality of life will improve and so will your overall happiness as soon as you make the decision to seek help. Overcoming your struggles with drug addiction is not easy, but it is attainable. With the right treatment in place and your dedication to obtaining sobriety, recovery is possible.